Have stayed at this hotel many times but am afraid it is becoming very ordinary. Front office staff couldn't crack a smile when we checked in. seemed totally disinterested in their profession. The breakfast spread was woeful. No service at all. Time this hotel picked up its game. Too much competition now around the airport leaves this tired hotel behind. Nice Large room, decent furniture. Breakfast was ambiguous(not clear cut policy). The only negative was that the internet service though free, is virtually useless. 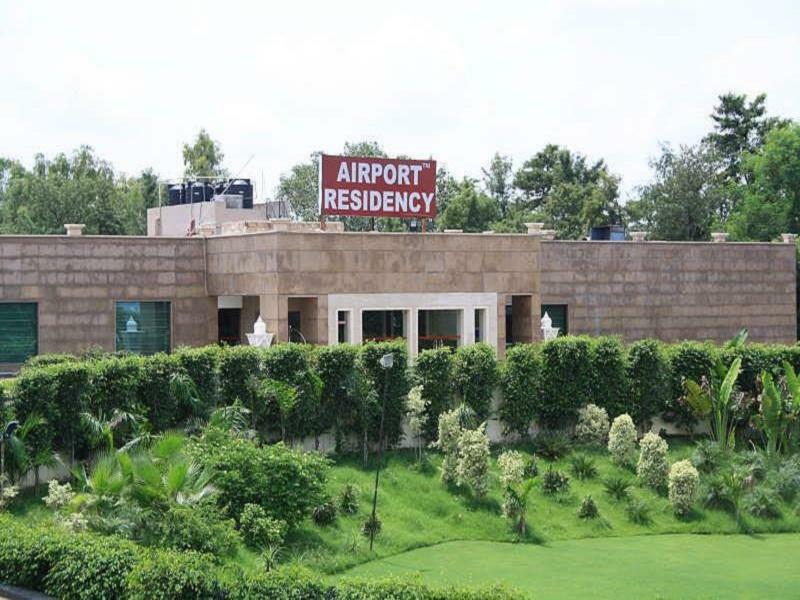 airport residency seems like a well maintained busy hotel from the pictures in agoda but it totally turned out to be a disappointment to me. it took about 25 minutes for my taxi driver to reach me there after few stoppages to inquire about its location. once there, there was no bellboy around to take care of my heavy luggage.the front desk staff were busy in their own conversation and did not care to even wish me good evening.one of them asked a very hospitable colleague(gentleman) to take care of my check in.check-in was smooth though.the room smelled of fungus as if it were locked/not used for a long time. a/c could not cool the room even after i waited for a while so i asked for changing my room.i was shifted to the other room but was not satisfied with the ac again. i did not feel like shifting to yet another room so i finally settled in that room. to my surprise i found that the tv did not work properly in this room and the wash room was in a pathetic condition.as i was on transit and had to take a quick nap to catch my next flight early in the morning i did not bother about complaining further.the only good thing about my stay was that i was offered a light, early breakfast at 2.00 am before i headed to the airport.the waiter and the driver were extremely friendly and courteous. The stay was comfortable. Might go their again.the front office is not great or updated with new technologies but when it coms to the room it shouldnt be a problem because the rooms are really good. Room had a musty smell. Room service was good. Attentive staff. 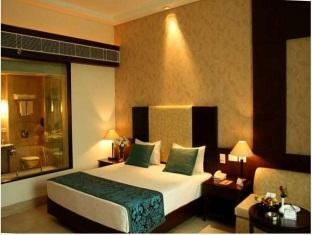 Nice and spacious rooms at a reasonable price. The one bedroom was more like a suite with a living area and pantry. Right across from the airport terminal so we didnt have to take a cab to get there. It is close to the airport, and safe to stay. Apart from that, the hotel facility seems old and lacking. Anyway, it's mostly used for stay-over to catch an early flight in Delhi Airport, not much expectation was put in this hotel. Looks very smart from the outside but slightly worn on the inside. 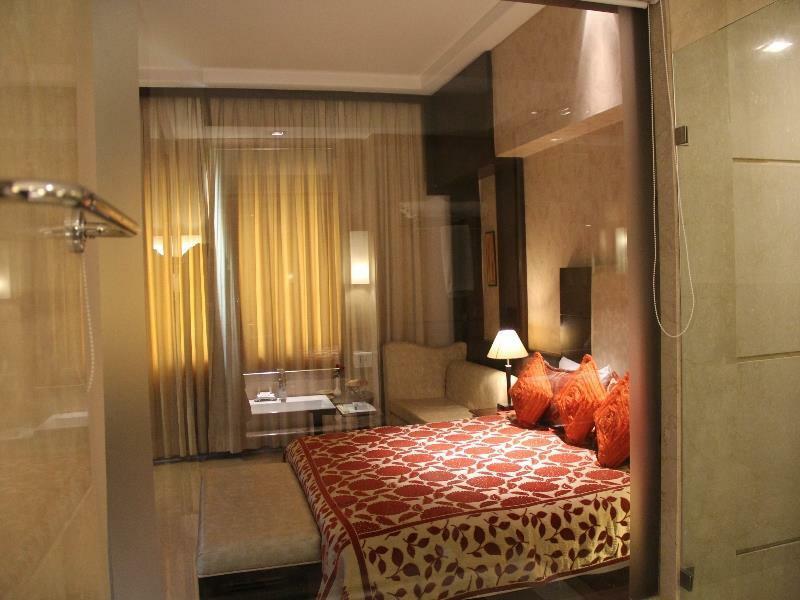 Rooms a reasonable size, bed comfortable, bathroom good size with separate shower. Sound proofing poor, could hear guests walking in the corridor outside out room until late at night. By international standards this hotel was basic. TV did work but it getting channels seemed to be a secret known only to the staff. Food good, service good. A nice clean hotel with friendly staff. It was quiet during my stay (assuming there were no marriage functions going on). Taxi to international terminal was 450 Rupees (11/2012).